Food preparation is much easier when you have the right tools. Whip cream, knead dough, toss salad, and mix batter in this durable 16 qt. 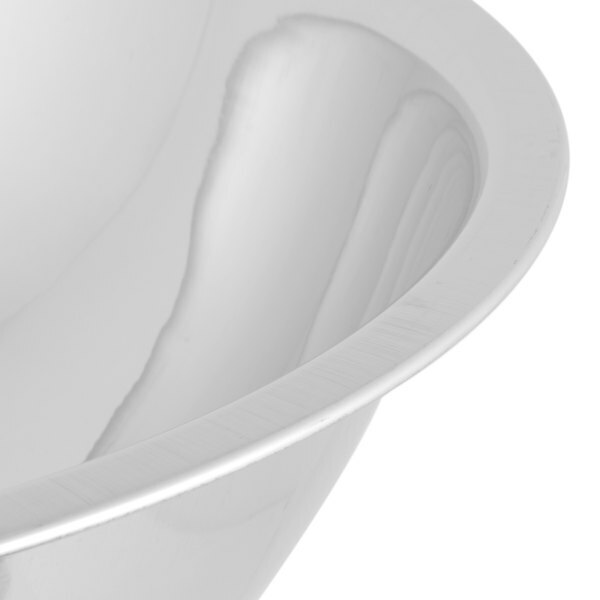 22-gauge stainless steel mixing bowl that stacks for convenience. It gives you beauty and style in just the bowl you need for almost any kitchen job. 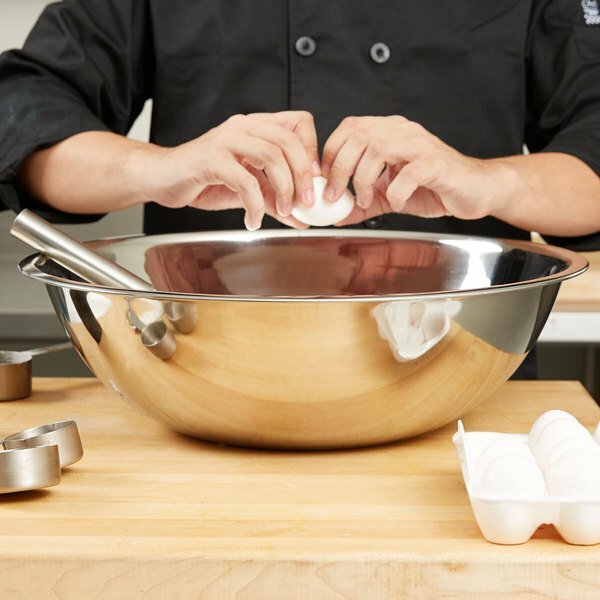 This heavyweight mixing bowl boasts a mirror finish and is the perfect tool to begin the preparation of many great meals your family or customers has come to expect. Constructed of heavyweight stainless steel. This 16 Qt. 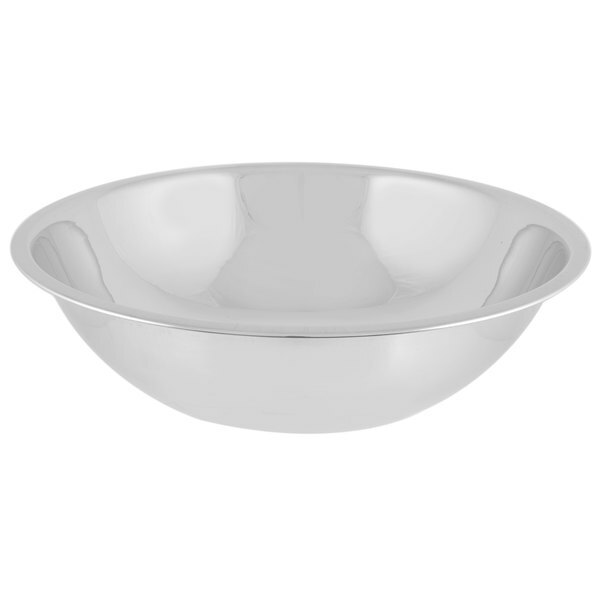 stainless steel mixing bowl is greatly useful for mixing large salads preparing dishes for serving small crowds. I would definitely recommend this to anyone who has the opportunity to serve groups of people and went to prepare food effectively. This bowl is useful for so many different things! It is very large, but not so large that it's difficult to use. I use it regularly when making items to feed my large family and/or when feeding a crowd. One of my favorite uses for it is nesting it inside the 20qt mixing bowl filled with ice and a bit of water to keep the contents of this 16 qt bowl cool while waiting to be served. This method worked especially great for transporting a giant salad and keeping it cool and crispy until it was time for serving! I've used this bowl for everything from mixing meat filings, meatballs, large batches of quick bread batter... you name it, it handles it with ease and without dents or scratches. I grind a lot of meat and was previously using plastic bins to catch the meat however the mea was getting stuck to the plastic and i just didn't like the plastic. 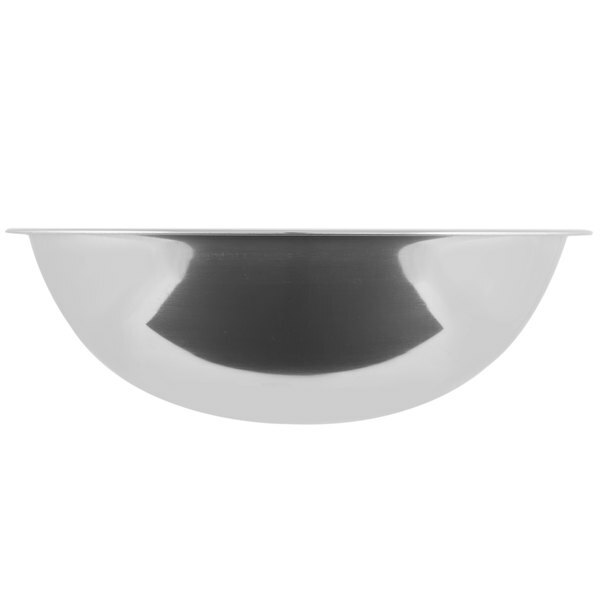 this bowl is great, its thick and sturdy and its stainless steel so so deep scratches! Great Bowl! I'm very happy with the weight and quality of tho bowl! Especially for the price! I will be buying other sizes to make a complete set. 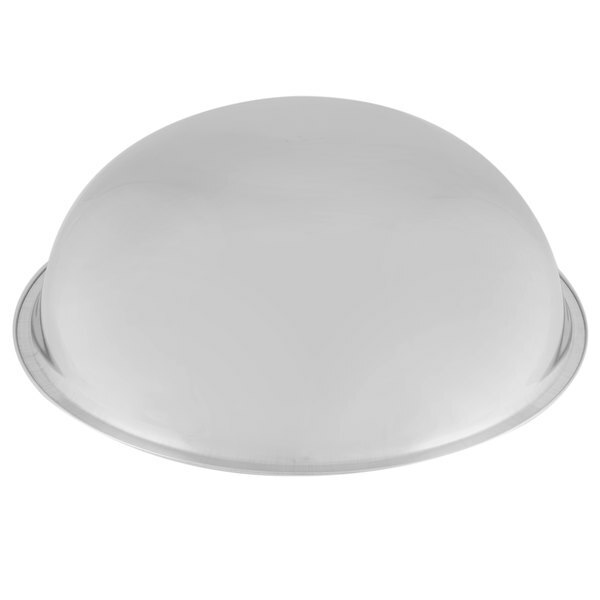 This 16 Qt heavyweight stainless steel bowl is large and built to last. It has a nice finish, and it is durable. It is easy to clean and care for, and stacks well for storage. These are a little shallower or flatter than some other mixing bowls. These are super nice and I love these bowls. Very sturdy and feels solid. Good product. This is a really nice bowl perfect for mixing salads for large groups or a fruit bowl there are lots of uses for this bowl. The 16 qt mixing bowl is a great value for the money.The bowl is big enough for mixing large quanities. Very happy with the quality. This bowl is ideal for working in the restaurant. You can fit a great deal of product in it. Would recommend and a great buy. The best product ever not to big not to small nice and easy to hold onto wish I knew about this web-site along time ago.